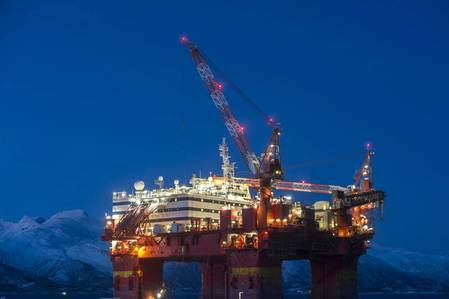 Norway plans to expand the offshore oil and gas acreage offered to companies under its annual licensing round in so-called predefined areas (APA), oil minister Kjell-Boerge Freiberg said on Thursday. The 2019 APA round will offer 90 new blocks, of which 48 are in the Arctic Barents Sea, 37 are in the Norwegian Sea and 5 in the North Sea, he said. "It's important to maintain the positive development in exploration activity in the Barents Sea. I hope this will lead to robust field development solutions and increased value creation in the north," Freiberg said in a statement. The annual APA rounds are primarily designed to offer new acreage that is located near existing or planned developments. They differ from Norway's other licensing rounds, which are held more rarely and offer blocks in unexplored, frontier regions. Environmental groups and some opposition politicians, however, have criticised the government for its policy, arguing the APA rounds are used to expand exploration beyond mature areas of Norway's continental shelf. Top explorers on the Norwegian continental shelf include Equinor, Aker BP and Lundin Petroleum , among others.